Need a hat to go along with your new Bill Hempel airplane? 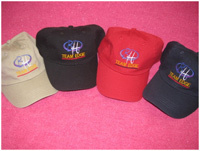 We have what you need in 4 different colors. The Team Edge hats are $15.00 each. Please specify color selection when ordering. Color: Navy Blue, Red, Khaki and Black. These new light weight fiberglass pilot heads are the light the strongest and lightest available pilots in the industry. 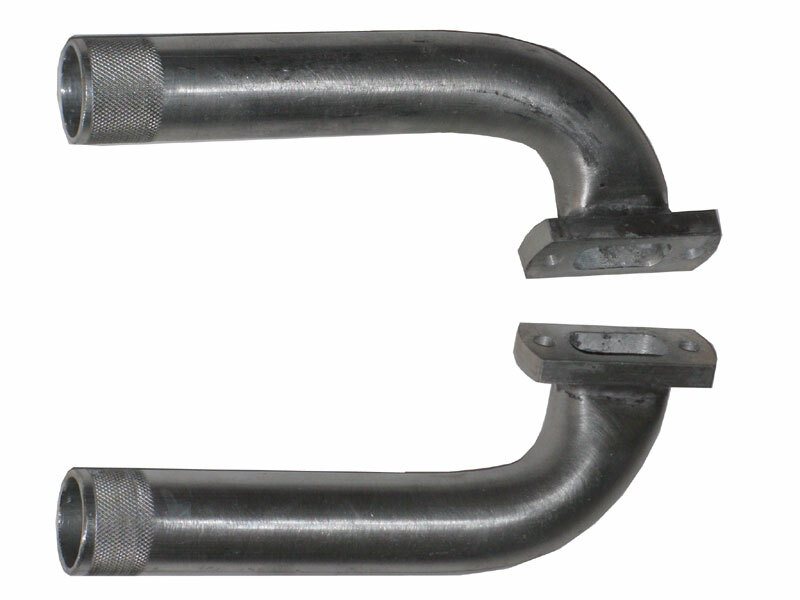 Designed for 60% or larger airplanes. Available in (5) choices of colors (see picture). 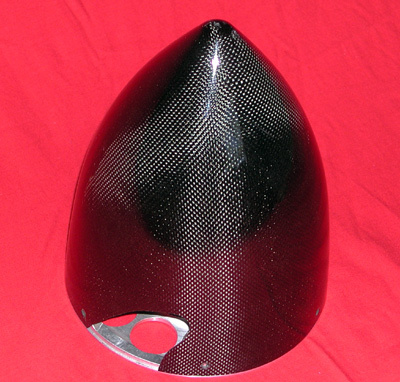 The fiberglass construction will not melt or wither in the sunlight. Painted with high gloss epoxy paint these pilots will last as long as your airplane. These 60% pilots measure 14.5" wide x 10.5" tall and weigh only 9 ounces. While supplies last, we have uncovered some wing/stab bags that are now available for sale. These are made form a BLACK Dacron type material that is tough and will resist tares. Has sown-in pocket for wing tube. While these thin bags may not protect your equipment in the event of being dropped, they will certainly prevent scratching of the covering film and help to protect from accidental hanger rash. 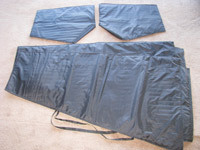 All wing/stab bags are priced at $100.00 per set plus shipping. Wing bags available for the following models: 50% Extra 260, 50% Yak 55M, 50% Clipped Wing Cub, 50% STANDARD Wing Cub. 2-5400mAh Lithium Ion packs. 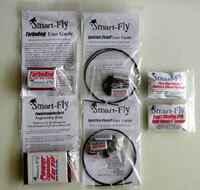 These batteries come pre-wired for the Smart-Fly package. It includes 16Awg wires with Dean’s connector and a JR lead for charging.2-2600mAh Lithium-ion packs for ignition. These batteries come complete with a JR lead and HD wire. 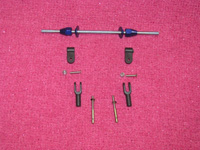 You need two ignition batteries to take advantage of the redundancy of the twin spark engine. (5) Smart-Fly Equalizers which will allow up to (4) servos to be matched with centering and end points per receiver. 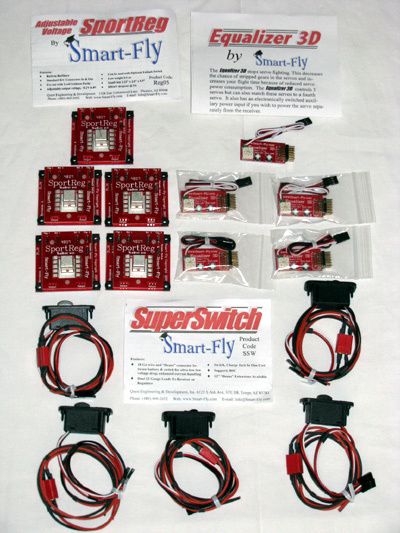 The use of this type system will help reduce the amount of servo leads needed for flight. This will also ensure that servo voltage (voltage-drop) is not loss due to the long length of servo extension needed under conventional radio set up. 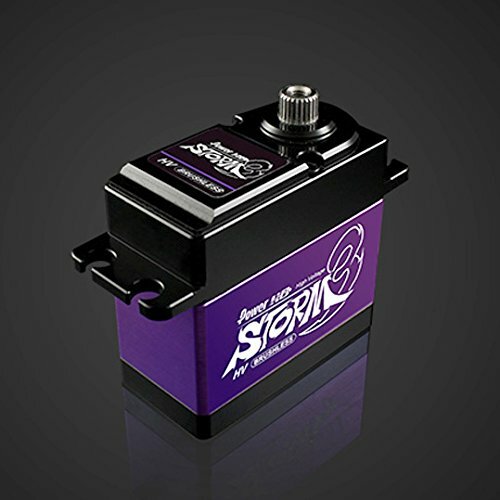 All servo arms are anodized and designed for use with Futaba, JR and Hitech servos. The arms are simply different shapes. 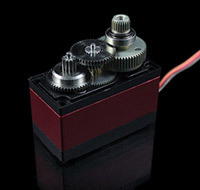 Titanium Pro-Links are used to connect your servo to your control surface via a ball link. The pro-links are the lightest on the market and are adjustable without removing your ball link. We have (4) sizes to choose from. These control arms work perfectly for all 25% through 40% airplanes. 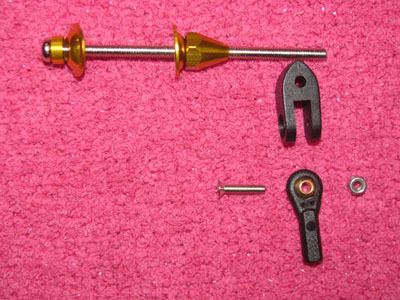 The 4mm bolt goes through the control surface and is secured with beautiful gold anodized nuts. (1) per package. These rudder control arms work perfectly for all 25% through 40% airplanes. 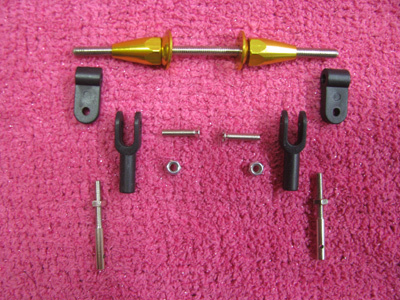 The 4mm bolt goes through the control surface and is secured with beautiful gold anodized nuts. (1) per package. Pull/Pull cable not included. These control arms work perfectly for all 50% through 65% airplanes. The 5mm bolt goes through the control surface and is secured with beautiful blue anodized nuts. (1) per package. 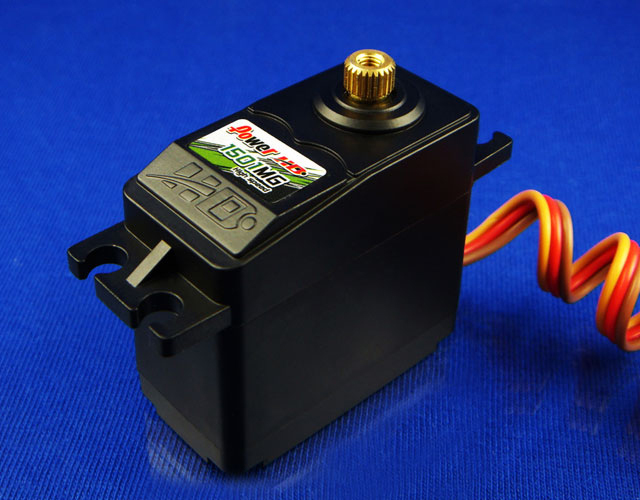 Team Edge is proud to now offer POWER HD servos for our line of products. 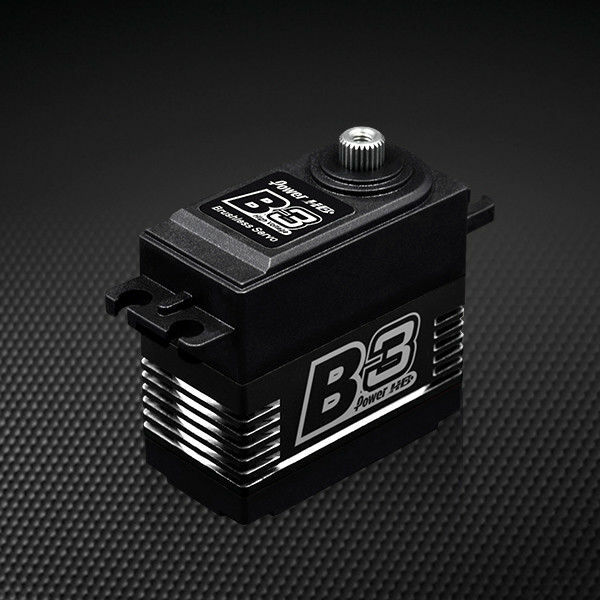 These servos are high quality servos that will provide the necessary torque and precision needed for your Team Edge plane. Please select from the following servos to meet your needs. 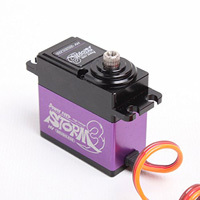 One of strongest and most affordable servos in the world! 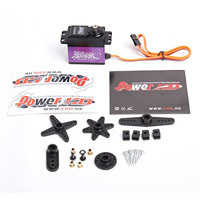 Power HD servos are known throughout the world as a high quality company that produces some of the best servos in the market. The 1501MG is a metal gear servo that puts out 236 oz. of torque on 6v. These are the servos we recommend for all of our 30cc -60cc models. These side aluminum mounts come in two types. S type is for JR, Futaba, Hitech servo. 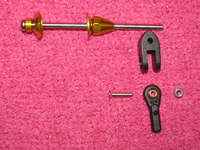 This servo mount is red anodized and comes with the servo mounting bolts. Light weight and strong. 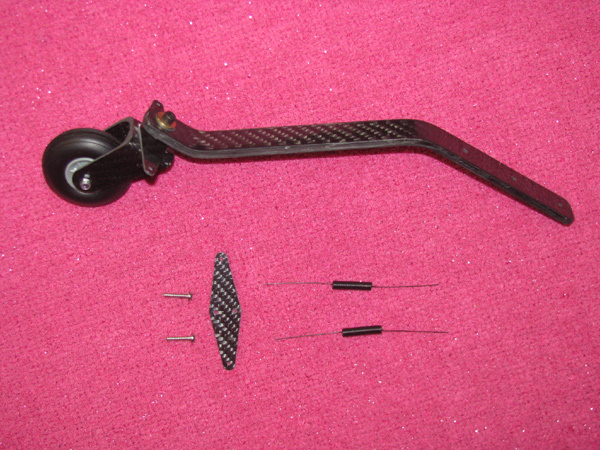 A simple way to mount your throttle, choke servos or other applications. The M type is specifically for the JR 8911 and JR 8711 servo only. This is a blue anodized mount. 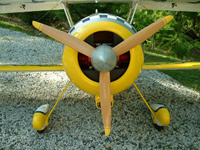 Need to improve your tail wheel with a nice light weight one?. 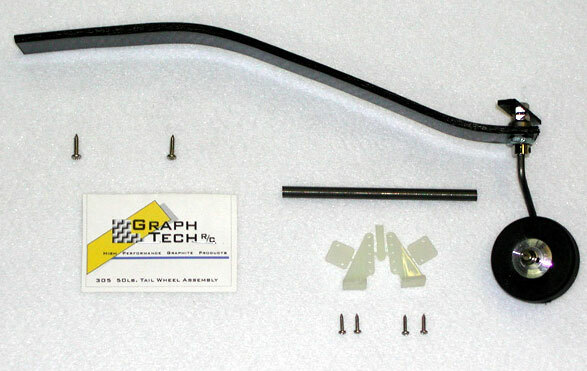 This Graphtec RC tail wheel is made from multiple layers of carbon, this tail wheel assembly will last through the hardest of harrier landings! 35%-40% size. This is a cool looking tail wheel that will last a long time and is light weight. It is 1.5” diameter and weighs 20grams. 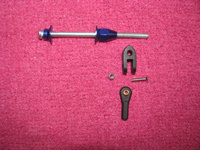 The axle is 3mm but can be drill out for your size wire. 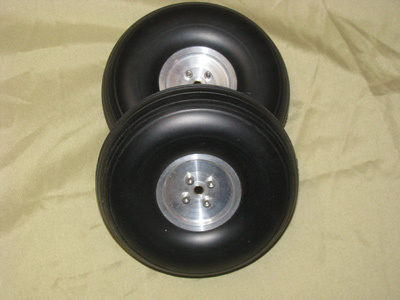 We now offer the super lightweight C/F Tail wheels that are found in our ARFs. 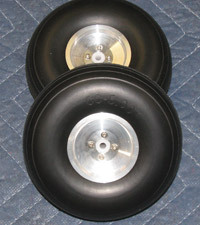 These tail wheels were designed to be light weight and strong. We have (3) sizes available. 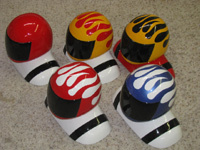 These fiberglass wheel pants look great and come pre-painted in all white or all red. Light weight and strong. 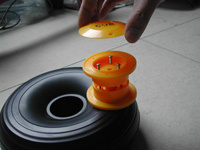 Fits wheels up to 6” in diameter. 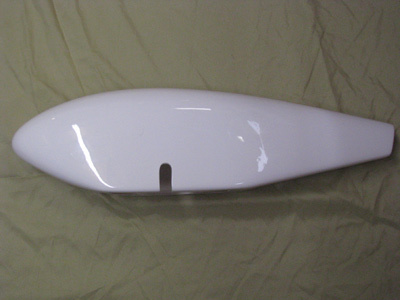 These fiberglass wheel pants look great and come pre-painted in all white or all red. Light weight and strong. 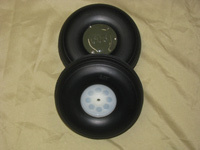 Fits wheels up to 7” in diameter. 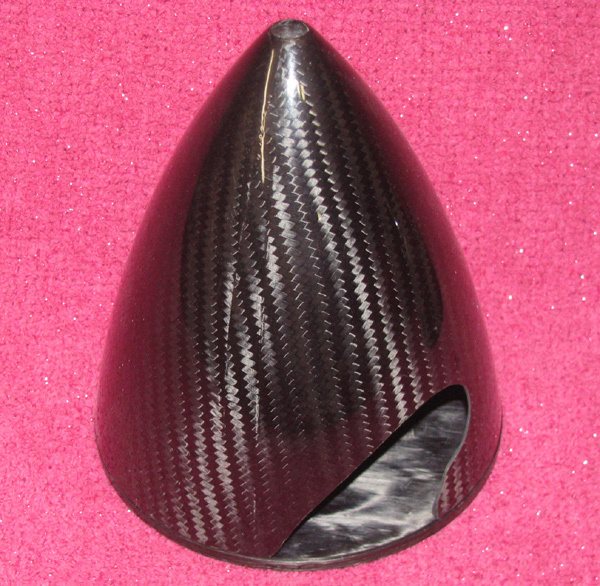 Not only are these wheel pants strong, look great and super light, they will accept up to 6”wheel diameter! Perfect for the 50% Edge, Extra or similar style aircraft. These 5” Plastic L-4 Wheels are designed for our 30cc-50cc L-4 grasshopper or similar type models. These 5”wheels are light weight and has a durable rubber tire and a aluminum hub. 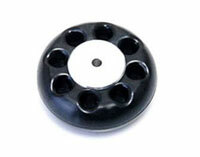 Comes complete with a white nylon bushing designed to be used with a 3/16” axle. Are you in need of replacement tires? You can now purchase just the rubber-only and save money. The 40% and 50% Cub tires-only without yellow nylon hub are priced at $25.00/each..
Are you in need of replacement tires? You can now purchase just the rubber-only and save money. 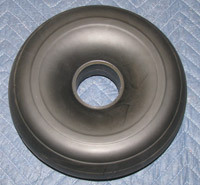 The 60% Cub tire-only without the aluminum hub are priced at $30.00/each. 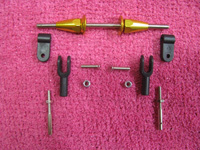 You know the high quality of Tru-Turn Spinners, now you can have that high quality product for your J-3 Cub. 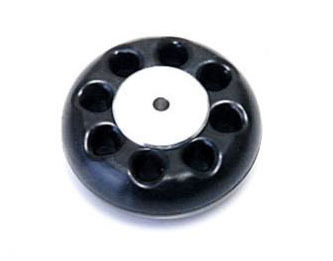 The Tru-Turn Skull Cap spinner is just what you need to finish off that scale appearance. This Skull Cap has been designed specifically for the BH Design Cubs and is weighted to assist in balancing your airplane. 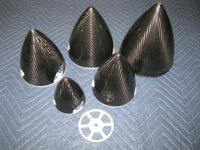 NEWS: These Carbon Fiber Spinners now come with Aluminum back-plates! Why is this important? Well, for larger size motors of 150cc or larger, the motor can actually heat the C/F backplate to a temperature that can soften the epoxies. 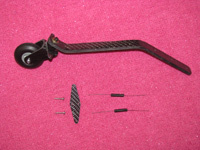 This causes the backplate to compress and the propeller bolts to lose their torque. The end result is a departed propeller and spinner. This scenario has given these types of C/F spinners a bad rap. Not anymore!The aluminum backplate keeps the prop bolts at the same torque and prevents breakage. 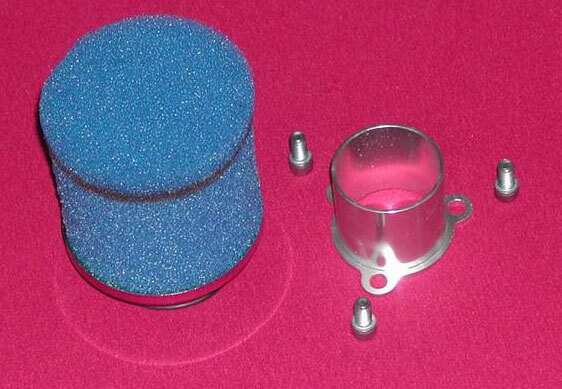 (Note: 3.0”-4.0” spinners do not require an aluminum backplate and will come standard with the C/F one. Due to engine choices the center bolt does NOT come with spinner). This has all the options available. Custom cut for a variety of 2 blade propellers. Custom light weight back-plate, drilled out for the 3W-275 6-bolt pattern. Hub is drilled for the 3W-275 12mm shaft. 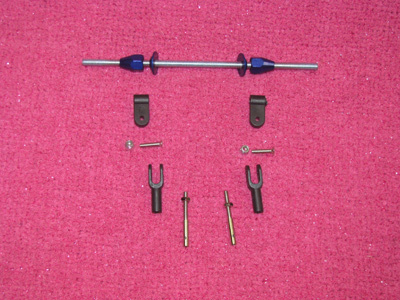 Spinner comes with a spinner-bolt adaptor part # TT-0609 which is needed for the 275. Do you fly in a noise sensitive area or field? The solution to your problems is a simple prop change. Using a (3) blade propeller will reduce you prop noise and overall noise footprint while flying. 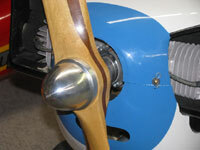 Reducing the propeller diameter reduces the propellers tip speed which equals reduced noise. 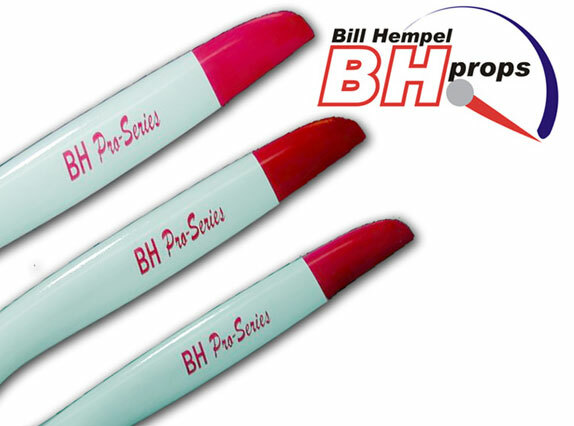 Bill Hempel’s 34.5” x 13.5” (3) blade propeller was custom designed for the 3W-275 or similar size motors and will give you great performance with reduced noice. BH Series custom wood propeller designed specifically for the 3W-275 engine. This propeller is designed to be inexpensive with the best performance available! A lot of work in testing went into this design to get the best possible thrust for the 50% airplanes. The 37x13 prop is just what you need and a perfect match for the 60% Cubs and similar airplanes that don’t need a lot of top speed but better thrust. Propeller is finished in natural wood with a clear gloss finish. Tired of broken headers? 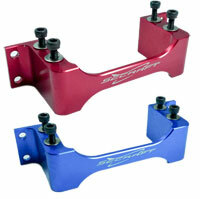 Try our NEW 2013 Custom PEFA headers from Germany. These new headers are now made with 3mm aluminum (2mm normal size) and were designed to hold up to the larger size motors and longer drop size lengths. 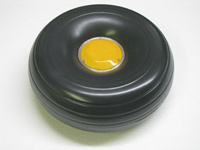 We sell custom drop sizes for the Edge 540, Cub, Decathlon and Extra using the 3W-275 motor. Transmitter adjustable rates and Smart Prime ™ features just like the original SmartSmoker, but now users can select the power source of the oil pump circuitry. 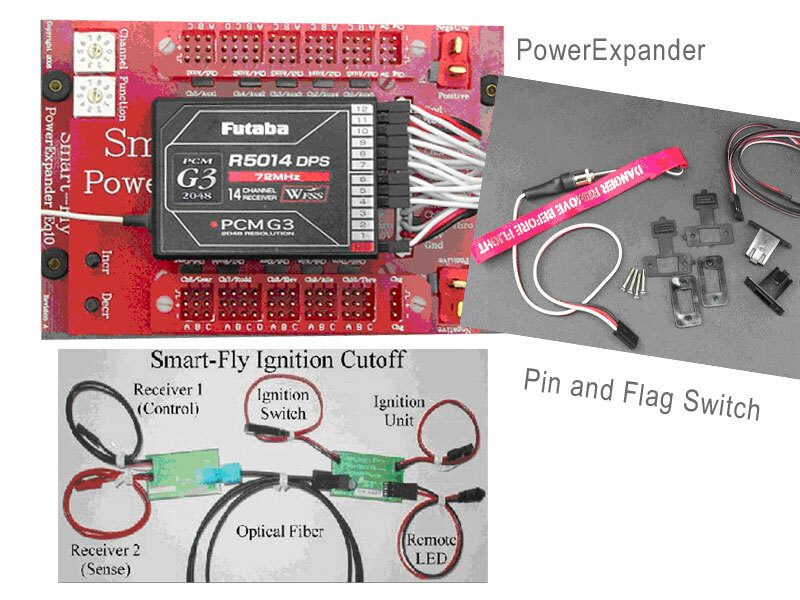 You can now choose between powering the pump from a small external separate "smoke only" battery pack, like previous versions, or choose to draw power from the receiver connector when used in GIANT SCALE airplanes with power distribution systems. 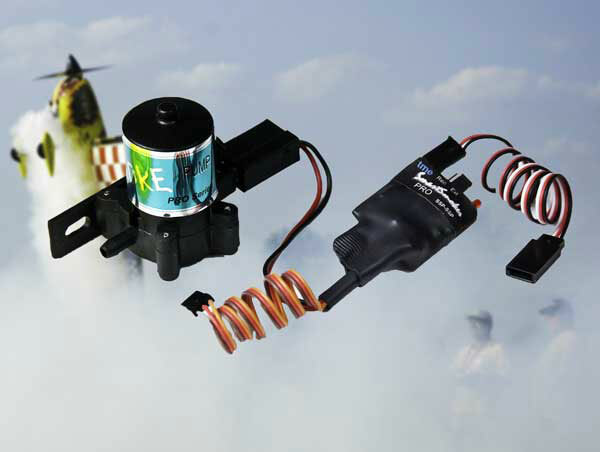 This makes it especially suited for systems that already have large separate batteries for receivers and servo connections. New smooth control logic and it also has a new status LED to indicate SmartPrime ™ and max flow for easy setup. Includes tubing, check valve, controller, T-valve and pump.